Please first select size and color! Optimum comfort, preventatively and actively boosts circulation - KUNERT FLY & CARE. Recommended by Lufthansa and medically tested by CHARITE Berlin®. This travel tights is ideal for people whose legs have little freedom of movement. For example on a plane, during long car trips or on the bus or train, but also in different professions involving long hours sitting at a desk. Kunert Fly & Care Women Travel Tights 1 Pair Bis jetzt alles in Ordnung. Die Ware entspricht der Beschreibung. Bis jetzt alles in Ordnung. 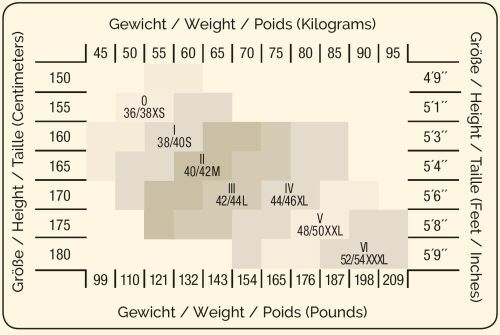 Die Ware entspricht der Beschreibung. 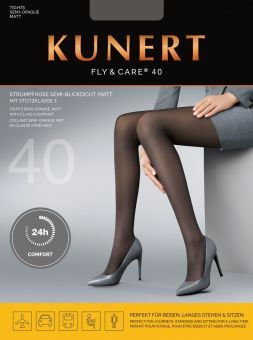 Kunert Fly & Care Women Travel Tights 1 Pair Die Ware wurde schnell und unkompliziert geliefert. Die Ware wurde schnell und unkompliziert geliefert.